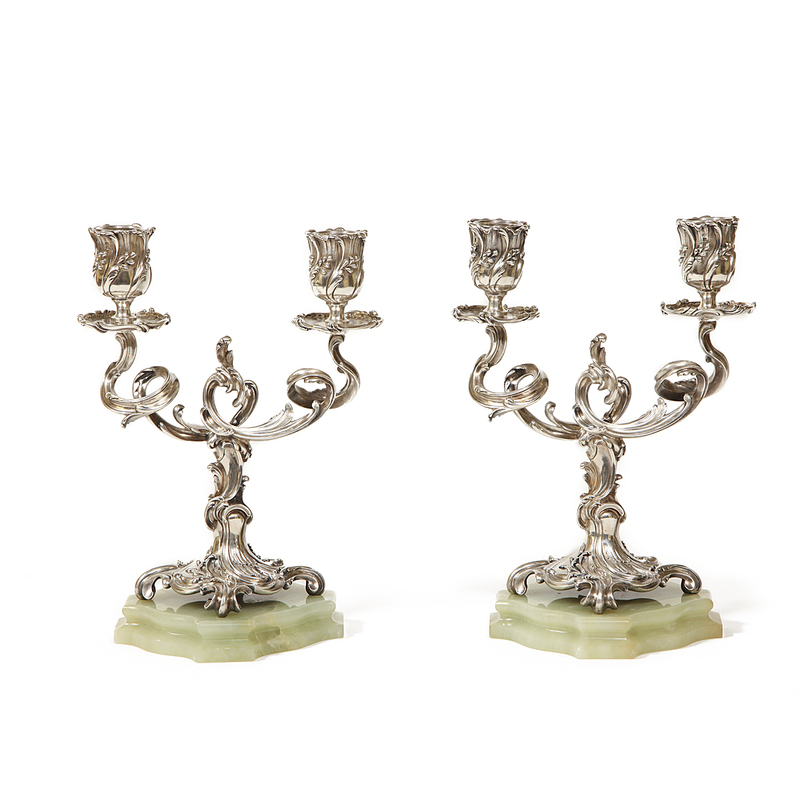 Pair of Rococo bowenite and silver two-light candelabra. By Fabergé, workmaster J. Rappoport, ca. 1900.